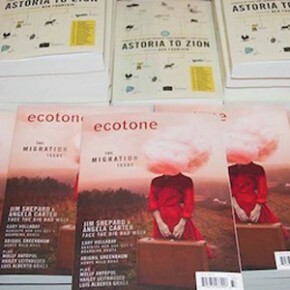 It’s a good year for place-based literature: Ecotone turns ten, and The Common, one of our favorite literary magazines of place, will publish its tenth issue. We’ve teamed up to offer a year’s subscription to both magazines. 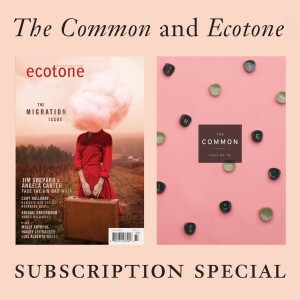 For $39.95, receive two issues of Ecotone and two issues of The Common! Order by Wednesday, September 30, to take advantage of this special. And watch for an upcoming post featuring The Common’s editor, fiction writer Jennifer Acker.